Undaunted, Perriand tore apart her garret-style apartment and converted one of the largest rooms into a metal and glass bar. Using her home as a canvas, she applied her ideas and continued to create metal tubular furniture out of chrome and aluminum for her “machine age interior.” By 1927, she designed enough work to be exhibited at the Salon D’Automne. Upon seeing her rooftop bar design and its furnishings, architect Le Corbusier changed his mind and decided to hire Perriand as furniture designer. Perriand’s earlier pieces were often modular and efficient, almost futurist. Her early influences generally seem modernist while her later experiences in Japan introduced a different aesthetic, and you can see that in the red and black interior below, as well as in her use of paper and bamboo for lighting. She deserves to be better known for her buildings, which include the UN’s League of Nations in Geneva and the Les Arcs building in Switzerland, at bottom. The same goes for her furniture, though this may change now that Cassina is reissuing many of her pieces (she originally designed for Thonet). Philippe Delahautemaison has created a really good Flickr set of photos of her furniture and decor. More on Charlotte Perriand here and you can also read about her life and design at designboom. The Centre Pompidou’s link in French is here. Above, a chalet by Perriand in Savoie, France. Building in Les Arcs, Switzerland. 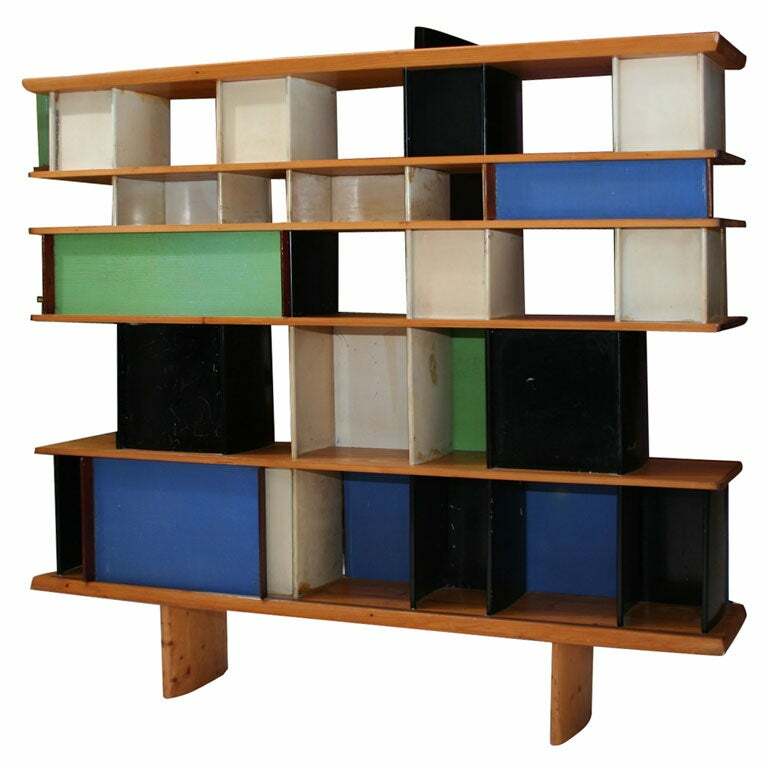 This is part of a larger project Perriand worked on collaboratively with Corbusier and others. And see this amazing swing arm lamp at referencelibrary. This entry was posted on Monday, March 9th, 2009 at 10:22 pm	and is filed under design. You can follow any responses to this entry through the RSS 2.0 feed. You can leave a response, or trackback from your own site. The Building in Les Arcs is situated in Savoie, France.